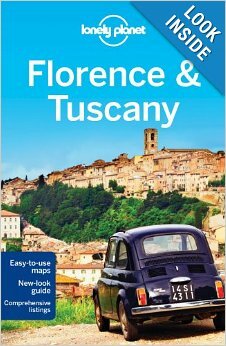 ArtTrav is recommended by Lonely Planet “Florence & Tuscany” guide (2012, 2014) as one of five recommended internet resources about Florence. The others are official websites or news outlets. 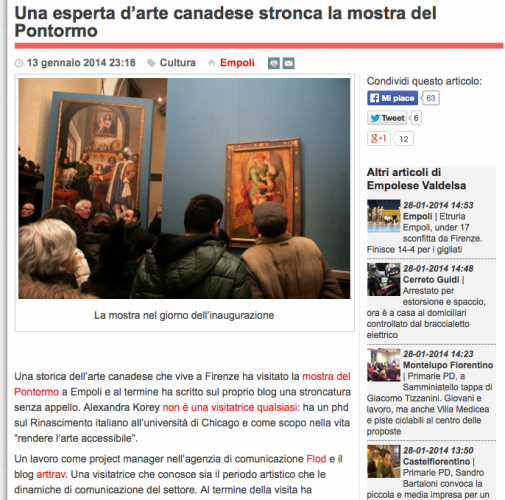 ArtTrav was shortlisted as one of the best Art & Culture blogs by Italy Magazine 2013 and won Best Art and Culture Blog from Italy Magazine in 2014 and 2016. Alexandra Korey was chosen by FlipKey by Tripadvisor as a destination expert for Tuscany – see profile here – and was chosen by Expedia to write the only article in the category of “travelers who prefer art experiences” on their game “Things to do“. ArtTrav’s author Alexandra Korey is currently a regular contributor to The Florentine, Dievole blog & has contributed to the 2011 edition of The Eyewitness Guide to Florence. She works in marketing as Head of Digital at Flod. Spring 2018 a fun interview by Ray Fitzgerald. Fall 2017 cited in MarieClaire Italia. article by Italian blogger Caterina Chimenti in agreement with my analysis and with constructive suggestions for improvement. April 26 2012: Corriere dell’Umbria on TBU Umbria: Mentioned as “Alexandra Korey, one of the most followed American bloggers” (cit!) in the context of a wrap-up of TBU Umbria attendees.